This story, by Jeff Wuorio originally appeared on CBS' Moneywatch.com. As every Twitter user knows, trying to separate the interesting tweets from the chaff can be maddening. (Remind us why 3.6 million people are following Ashton Kutcher?) But there's lots of great stuff in Twitterland if you know where to look, including ways you can save serious money. Rocky Agrawal, an Internet product manager from San Francisco, just shaved $600 off a Hawaiian vacation. "I'd wanted to go to the Big Island for a long time, but didn't have any definitive plans," says Agrawal. I was waiting for a last-minute deal like the one I saw in a tweet from @PleasantHolidays." Total cost of Agrawal's trip: $300, including airfare and three-day car rental. "I never would have spent $900," he adds. Forget about Kutcher and Anderson Cooper. 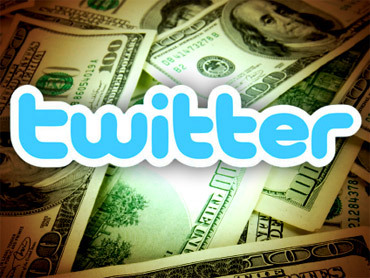 Twitter is now a source for saving big in 140 characters or less. Users share tips about sales and bargains and get the latest deals from airlines, car dealers, retailers, restaurants, manufacturers and other businesses. Web 2.0-savvy businesses routinely tweet their followers about daily specials (many of the deals are Twitter-specific). Dell Computers tweeted that it was selling PCs for 15 percent off. Jet Blue has Monday morning, last-minute JetBlueCheeps tweets, recently touting 25 to 50 one-way fares as low as $9. JetBlue's general Twitter account, for all its deals, has more than 1 million followers. Auto dealers increasingly tweet their latest rebates and low-rate financing offers. Twitter Search can help you find business feeds. Simple searches using Twitter's home page search engine can turn up tweet touts. If you're interested in, say, driving home a bargain on a 2009 BMW, type in "BMW deals." That phrase produced a link to American Express's Daily Wish site featuring BMWs at discounts of $1,600 and up. You are probably already following your family members and friends; encourage them to share deals by tweeting about any special offers you stumble across that they may find interesting. Then, look for others using Twitter who share your interests, such as adventure travel or dining out in your city. (Again, try entering search terms in Twitter's search engine.) After signing up to follow people with your passions, you'll see their tweets and can retweet (or "RT") deals you've seen that you think they'd want to know about. If you don't want to blab about the bargain, but do want a particular person to know about it, just send a direct message. Someone you follow may tip you off to a tasty deal. That's how Grayson Daughters, a freelance video producer in Atlanta, satisfied his sweet tooth. A person Daughters followed posted a tweet about Groupon, a Web business featuring daily deals on "the best stuff to do, eat, and buy" in 24 U.S. cities. "I followed the link and printed out a coupon for more than 50 percent off pastries at a marvelous new bakery called Pink Chocolate Caf ," Daughters says. A growing number of free Web services scour for Twitter bargains and send the latest ones to followers. These include Fat Wallet, Ben's Bargains, Slick Deals, CheapTweet, CouponTweet. A $200 Meade telescope recently appeared on Fat Wallet for $77. CouponTweet had $350 off a Sony HDTV. Penny-pinching bloggers, like thesimpledollar.com by Trent Hamm, often have Twitter feeds, too. "And many fiscally minded magazines offer running Tweets throughout the day on articles of relevance or fresh bargains," says Scott Steinberg, publisher of DigitalTrends.com, a tech lifestyle site. If you are planning a vacation, look for Twitter services from the tourist bureau or Twitter-based entrepreneurs who promote tourism in their area. Following @BostonTweet, for example, will supply bargains for The Hub (one recent post noted free museums and Shakespeare on Boston Commons). Also worth trying: Localtweeps.com. After using Twitter for a while, you may find yourself overloaded with tweets. The free Tweet Deck browser lets you organize your tweets into groups, manage conversations, and avoid Twitter spam. A useful aggregator is TrackingTwitter, which provides a real-time listing of leading consumer product feeds, from American Apparel to Zappos. Deal or No Deal? 8 Lousy "Bargains"